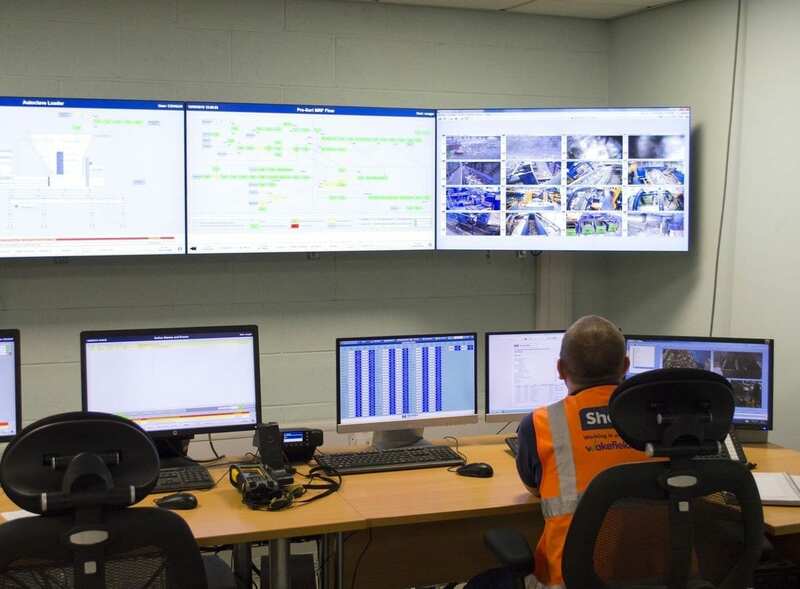 The Control and Supervisory systems are designed by Machinex to exceed expectations on getting the necessary information and to reach maximum sorting efficiency. Our systems provide flexible control for the maintenance and operating crew, as well as powerful management tools for the plant supervisor. 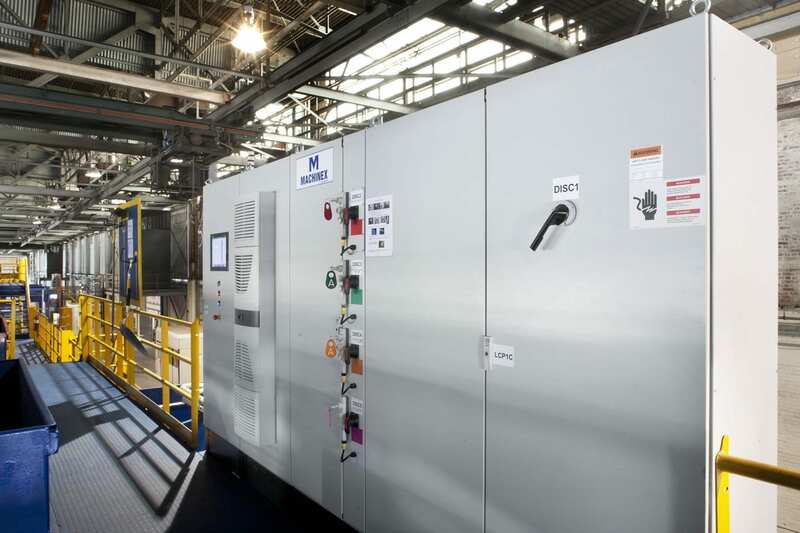 All of our solutions are custom tailored for recycling facilities and fully integrated into Machinex Sorting Systems. Our Automation and Control Department, from the beginning up to the commissioning, takes part in the design of the system. This greatly help take into account important aspect such as safety, installation, start-up, operation and maintenance. This greatly help take into account important aspect such as safety, installation, start-up, operation and maintenance. We also carry out the manufacturing, programming and installation of electrical system while adhering to the current standards in each country: CSA and CE accredited panels. Our team of technicians and engineers ensure that the control panels are strictly assembled, inspected, packaged, delivered and put into service in accordance with the highest quality standards. The components used are selected so as to provide reliable, high-performance and safe control solutions while respecting both the economic and technological needs of our customers. We are conscious of the importance of minimizing downtime. We also ensure that the components, as well as the service related thereto, are available throughout the world. Our programmers are trained to integrate and program the power and control components of various world-renowned manufacturers, such as: OMRON, ALLEN BRADLEY, SIEMENS and SCHNEIDER. Our versatility allows us to easily integrate equipment of all brands in your system. We can also integrate Machinex equipment into existing systems provided by other manufacturers. From a troubleshooting standpoint, Machinex has an important spare parts inventory. Our specialists can perform diagnosis of your system via secured remote Internet access. Be it a new installation or an update of current equipment, Machinex and its Automation & Control Department has the necessary expertise to properly advise and serve you. For Machinex Sorting Systems Only – the MACH Pad Control interfaces with PLC systems or any other platform (Ipad, Android, etc.) 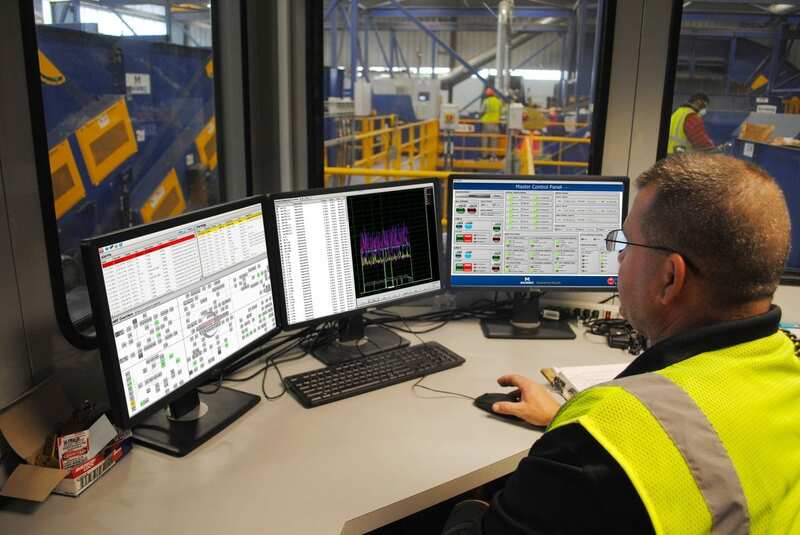 to remotely manage separator parameters, conveyor speed, and more. They can be used to start and stop equipment, quickly view active faults, keep shutdowns to a minimum, and improve security. This software is adapted to each system for optimal results and maximum flexibility. The MACH Pad Control can also access the Reporting Software if that option is requested. More than just information systems, the Reporting Software and the SCADA System (Supervisory Control and Data Acquisition) offered by Machinex are excellent management tools. They allow recycling facility managers to obtain the necessary reports to detect productivity losses and thus improve their profitability. This Reporting Software allows facility managers to obtain reports according to customer-selected parameters. They provide event analysis for each machine, easily detect production anomalies and target losses in productivity, keep track of the number of alarms and halts in production, as well as detect any other related issues within the system. The SCADA System is the ultimate management solution for the plant manager. The SCADA logs all other relevant information for maintenance and troubleshooting (recipes, current, speed, and angles) and allows facility management to follow the live data on graphic trends. Data archiving allows the facility to trace the history of the equipment that generates any halts in production. The same web base server software is used for the SCADA and the handheld device, which means that only one software is needed to program the SCADA, the handheld device and the HMI (human machine interface) on the control panels.